Early last month there arrived in Nelson a family who have at last attained the goal they have been seeking for years - security and freedom. For Jan Gazdarica, his wife Olga and four youngsters, New Zealand was a country in which they could live without fear. 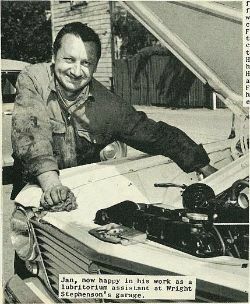 A Czecho-clovakian, Jan served with the Canadian Air Force and the R. A. F. Coastal Command during the Second World War. Then followed his discharge in Czechoslovakia and his escape to Austria with a young companion, now his wife. 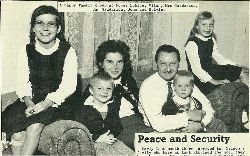 He worked for 10 years in West Germany before he applied to bring his family to New Zealand, He was sponsored to New Zealand by the National Council of Churches and the Nelson Refugee Family Committee. 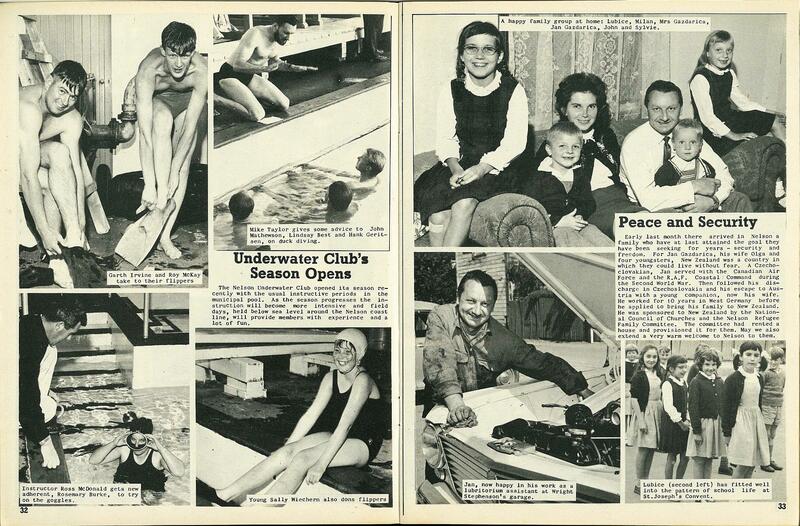 The committee had rented a house and provisioned it for them. May we also extend a very warm welcome to Nelson to them. A happy family group at home: Lubice Milan, Mrs Gazdarica, Jan Gazdarica, John and Sylvie. Jan, now happy in his work as a lubritorium assistant at Wright Stephenson's garage. 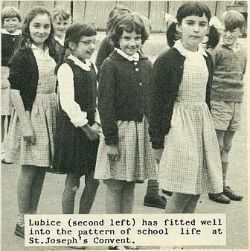 Lubice (second left) has fitted well into the pattern of school life at St. Joseph's Convent.